TRI-STATE TURF (TST) is a Landscape Design company that specializes in *eco-friendly* landscapes utilizing synthetic turf. We are GOING GREEN with environmentally friendly applications and catering to the golf enthusiast with professional putting green. 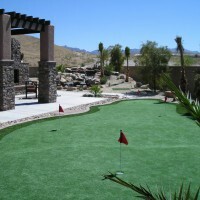 SYNTHETIC TURF, PROFESSIONAL PUTTING GREENS, Athletic Fields, Backyard Play areas, BOCCE BALL, Landscape Design. TRI-STATE TURF hasn't favorited any yards yet.